All-out opulence! 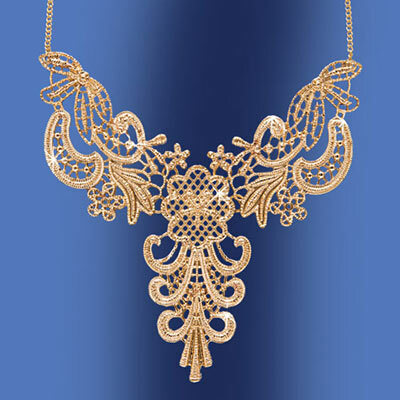 Our statement Golden Lace Necklace takes elegance to the limit in a delicate, highly detailed filigree of gold-tone metal. Dresses up any outfit! 17"l with 3" extender; 3" drop at centre.